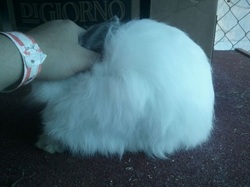 Previous Rabbits That Have Been Sold! These are all of the babies that have been sold and who they've been sold to. They also could be rabbits that have been rehomed for free. This doe was sold to Hannah in Woodland, CA. 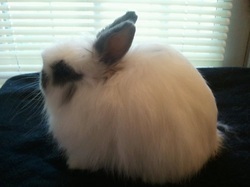 She is planning on showing this rabbit at our County Fair and going to rabbit shows with me and showing! 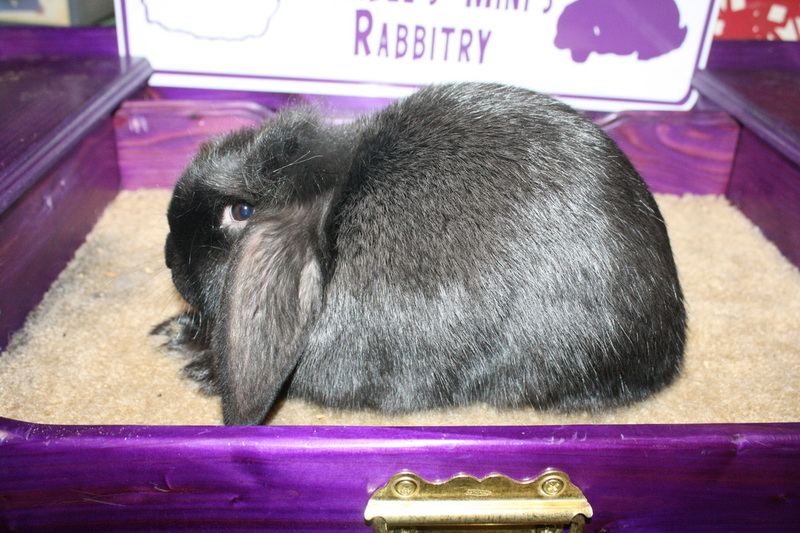 This was her first show rabbit. 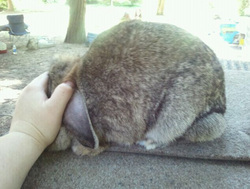 This rabbit was sold to a very nice lady in Cameron Park, CA. 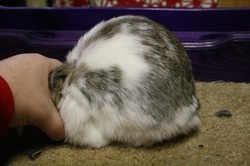 As soon as this baby bunny landed in her arms she fell asleep while being pet. Elaine is very happy with her and Gracie will live there happily spoiled for a very long time! WOW, can't believe i'm giving this guy up! One of the best in the litter! 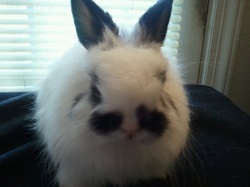 This bunny was sold to one of my FFA advisers for her son for a 4-H project. They also plan to breed her when she gets older. My grandma was looking at her at the last show she was at and decided she wanted to keep her. She will be a pet. She might be shown. This guy was put in the raffle at the Stockton show on 9/17/2011. Sold in Cow Palace to a little 4Her. Nala! 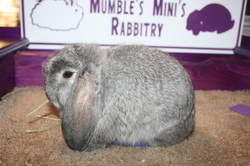 She is a Chestnut Mini Lop & she got her name from the movie Lion King. When I first got her she was very antsy and wouldn't let you hold her. Now she will cuddle in your arms! :) Senior Doe. Strengths: Good head, nice fur, nice depth, & good topline.